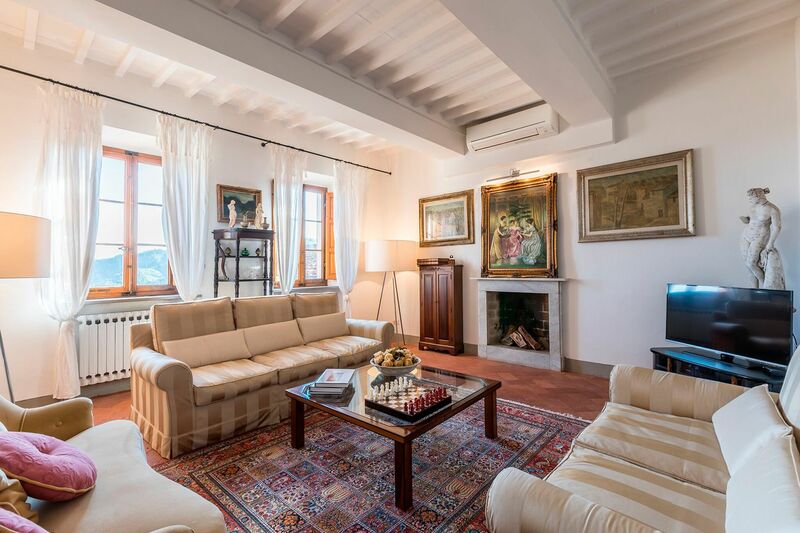 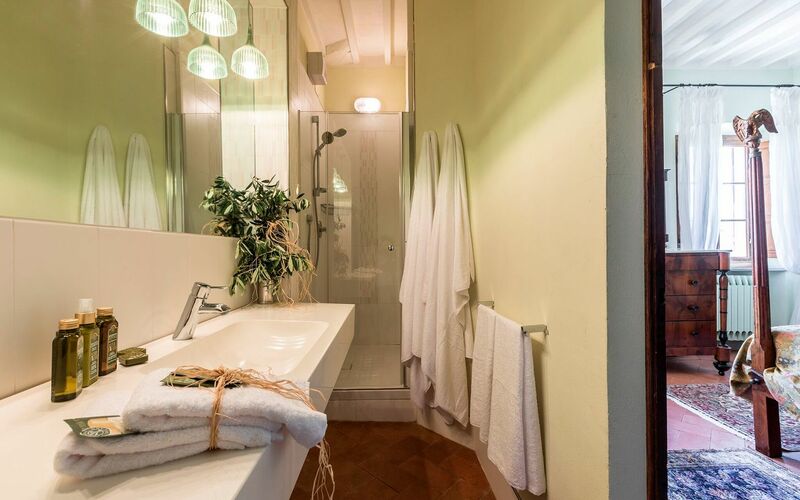 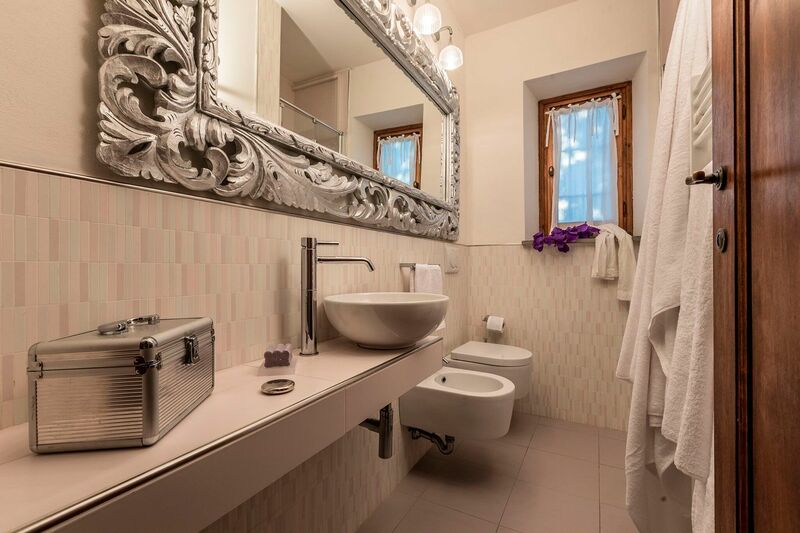 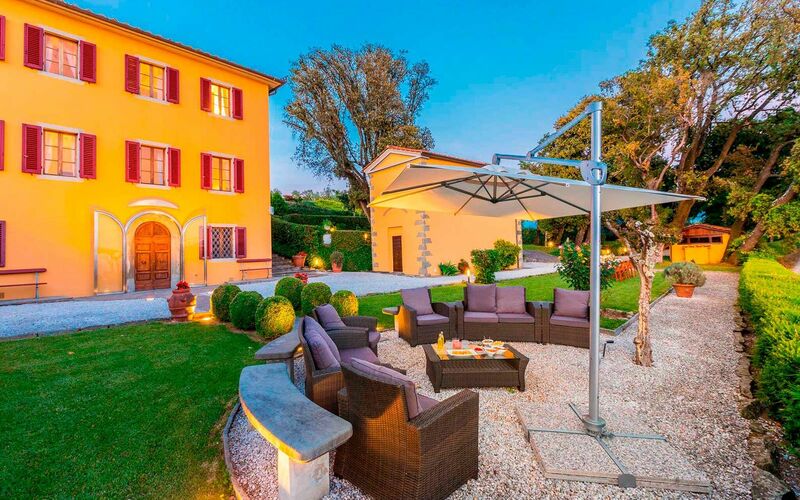 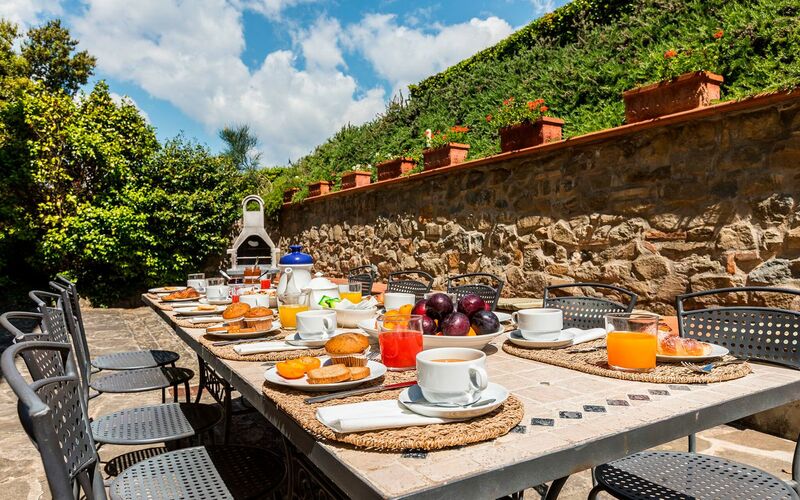 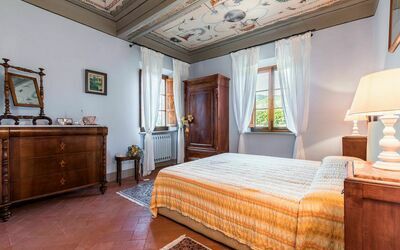 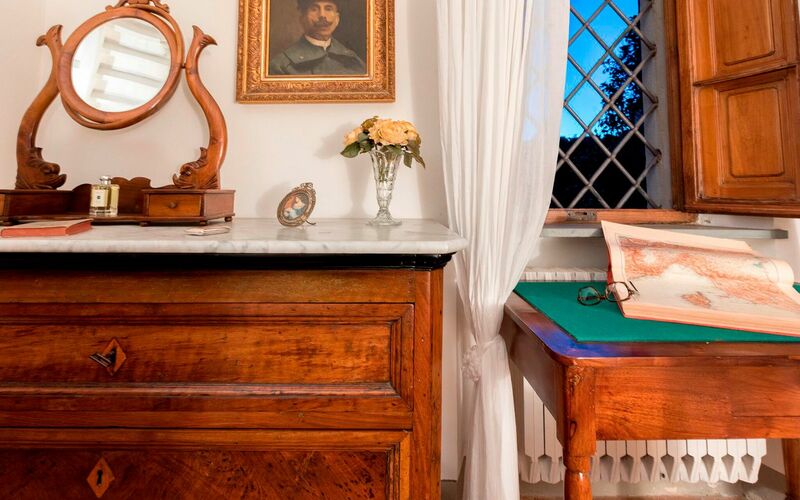 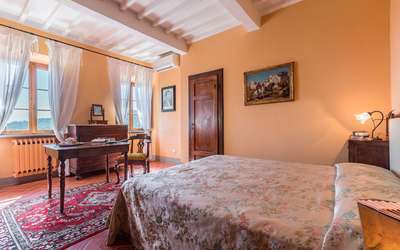 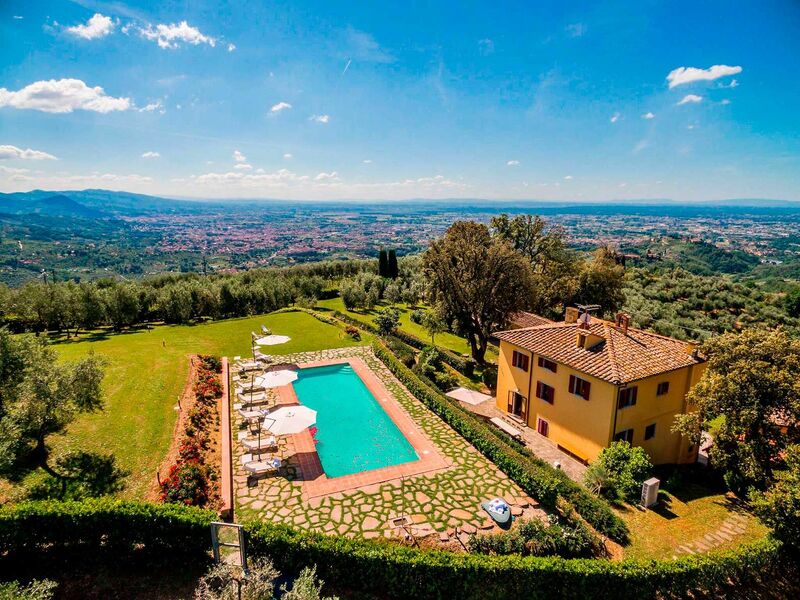 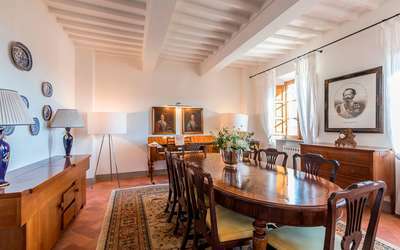 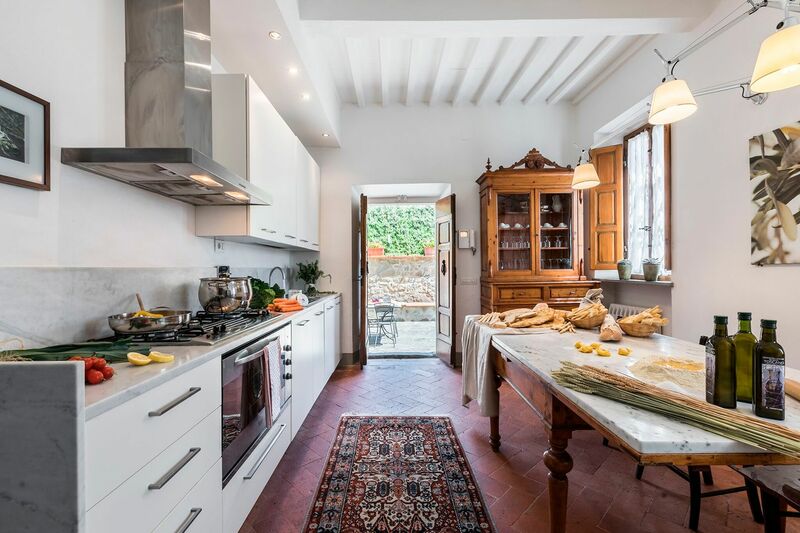 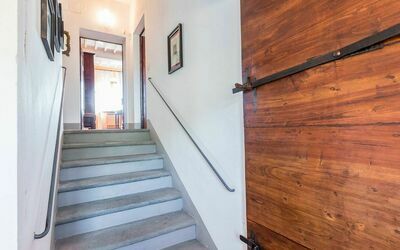 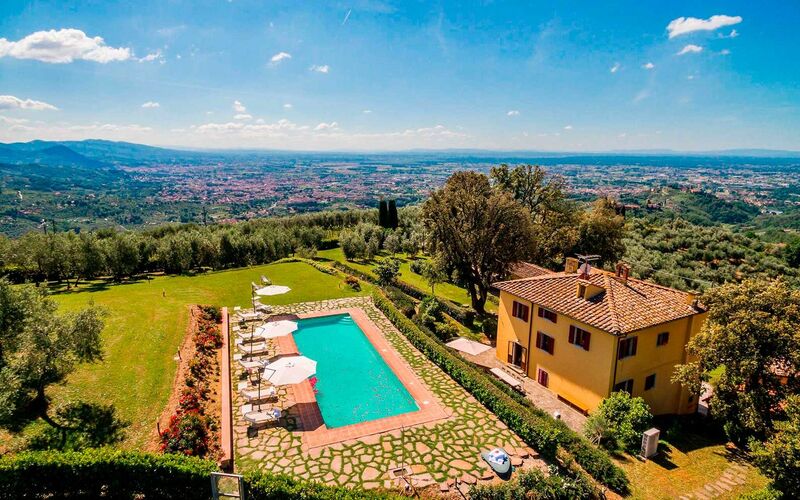 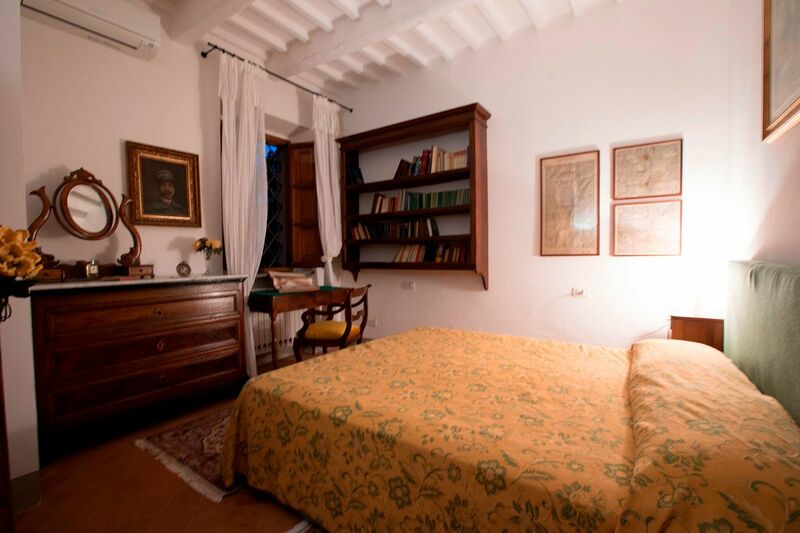 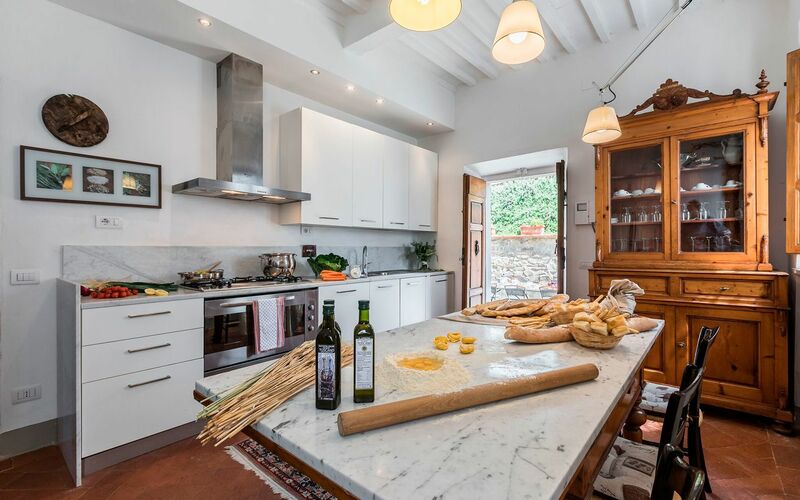 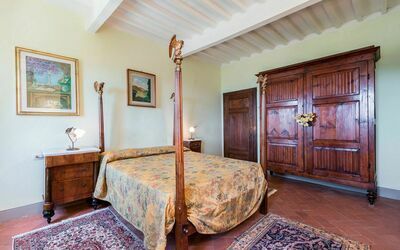 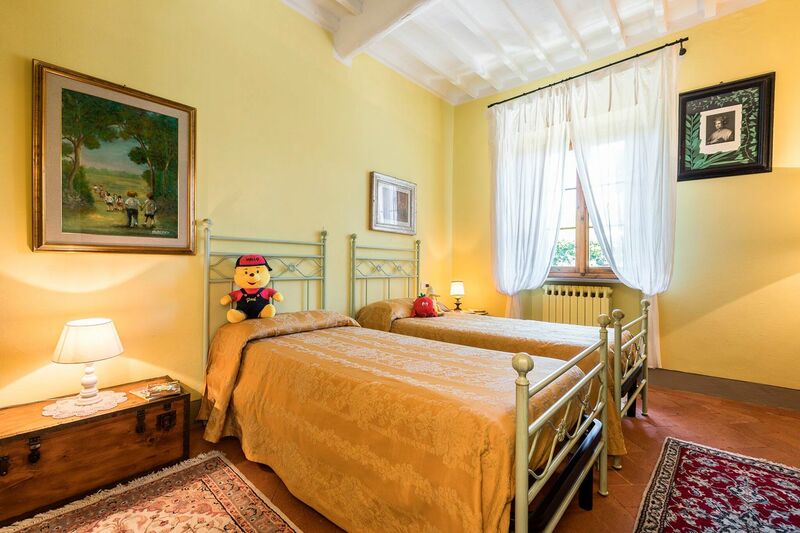 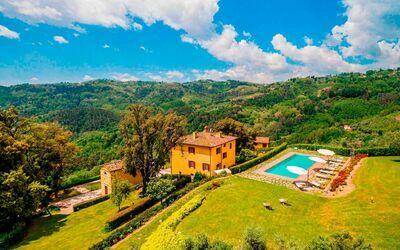 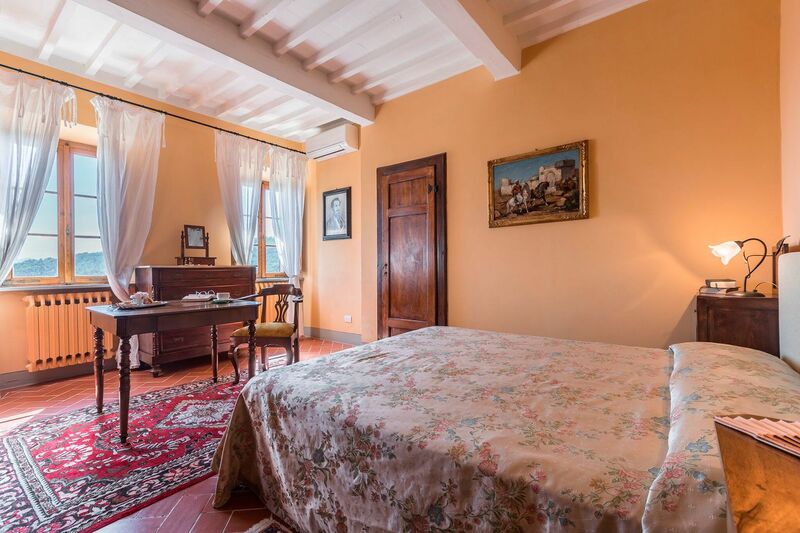 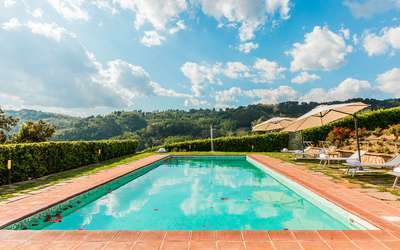 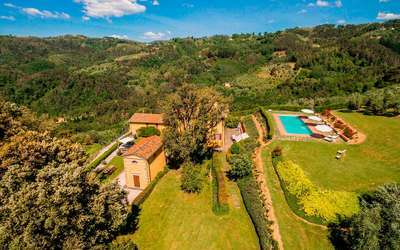 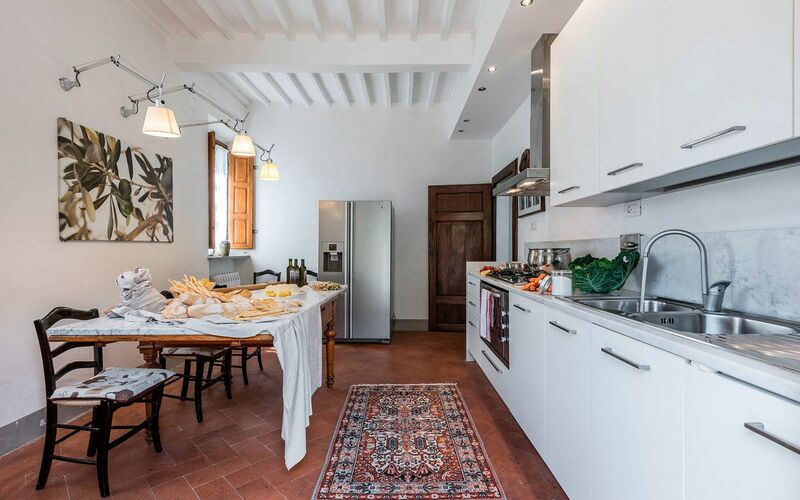 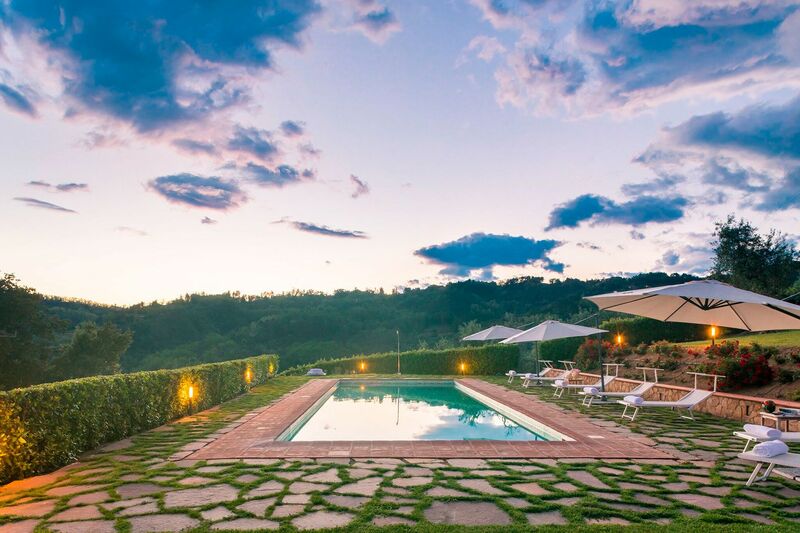 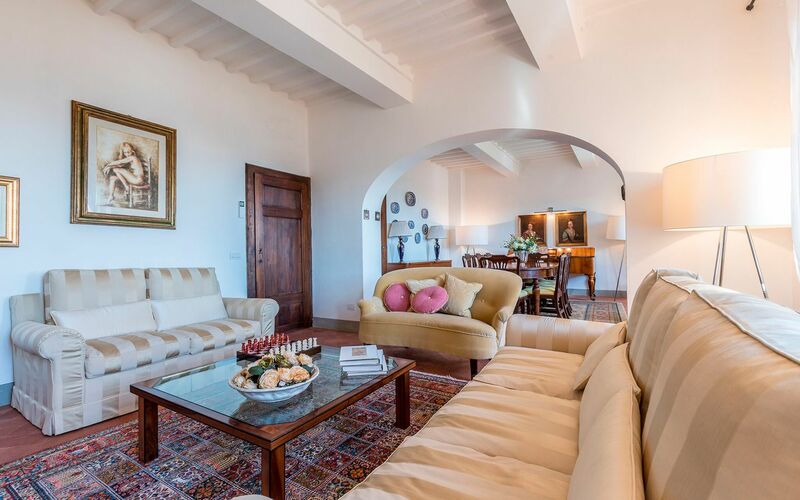 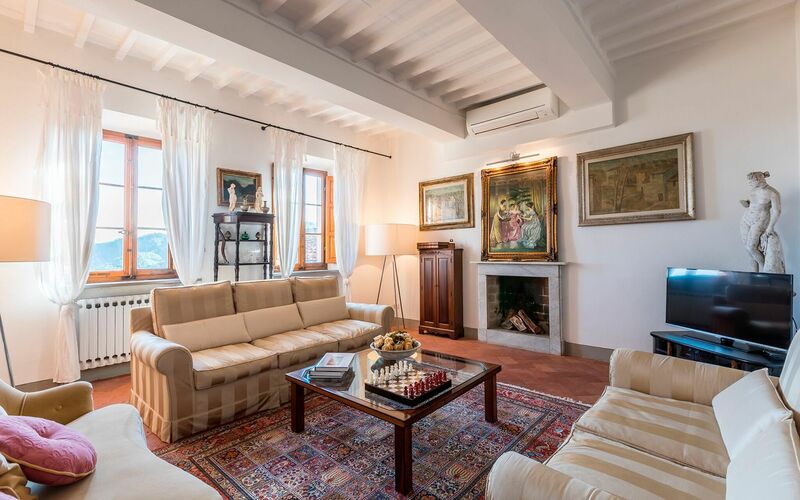 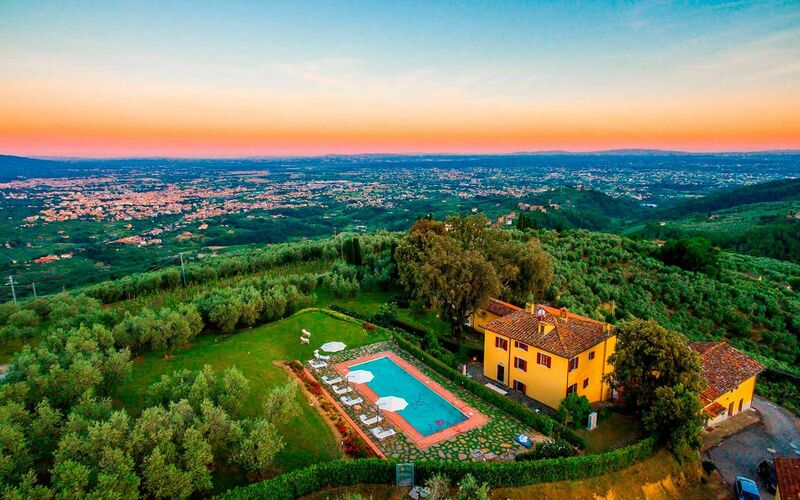 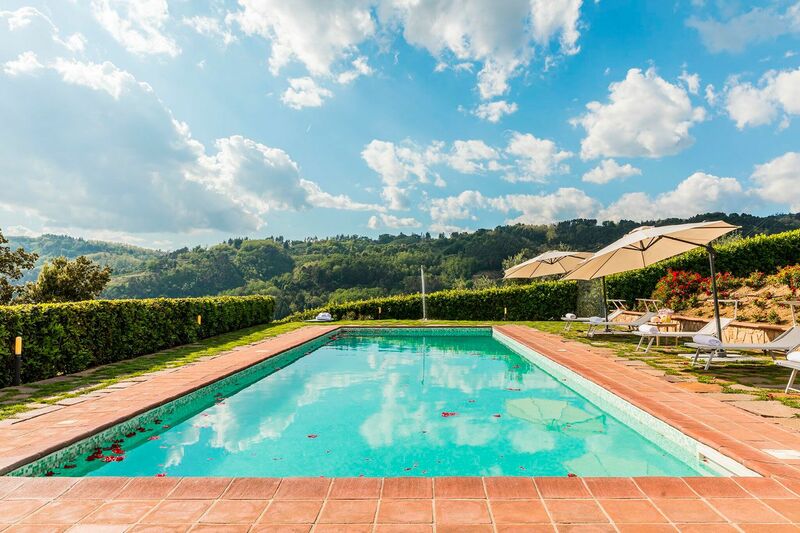 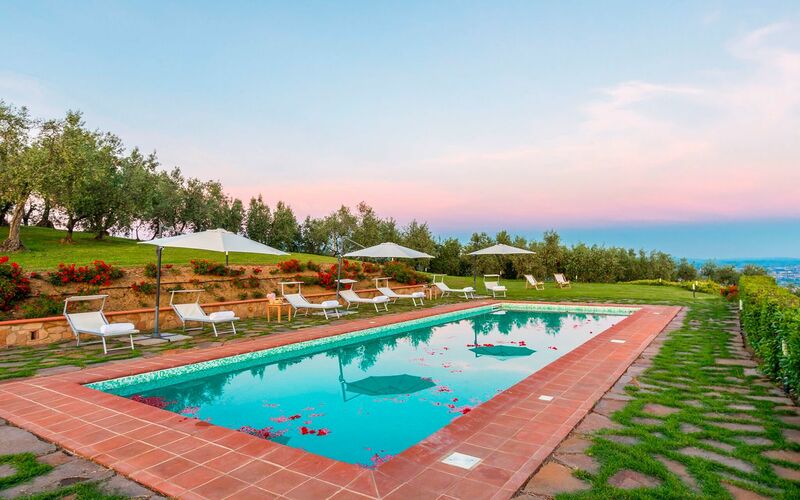 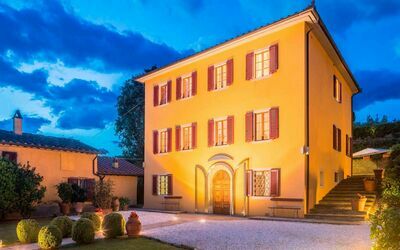 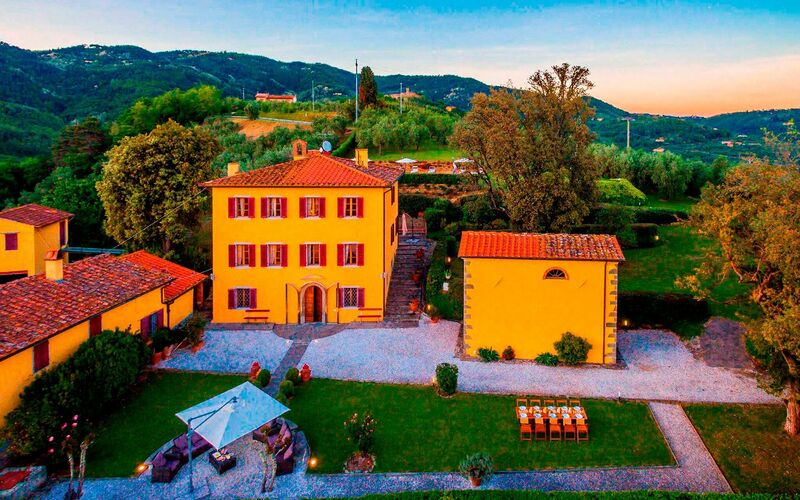 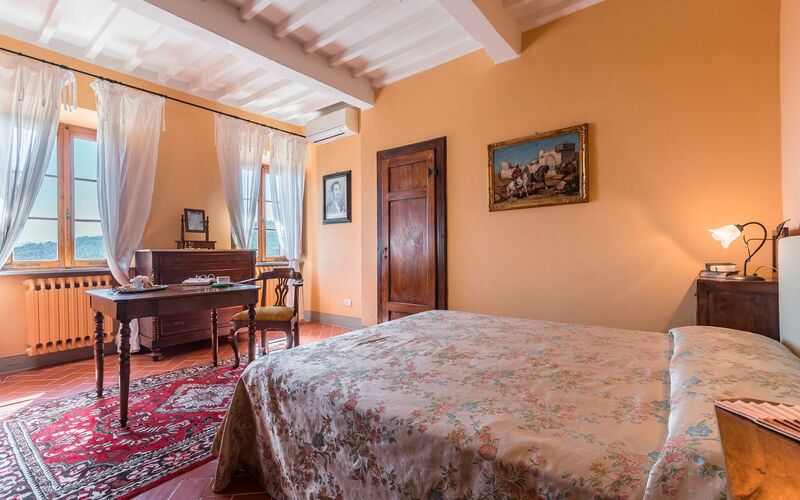 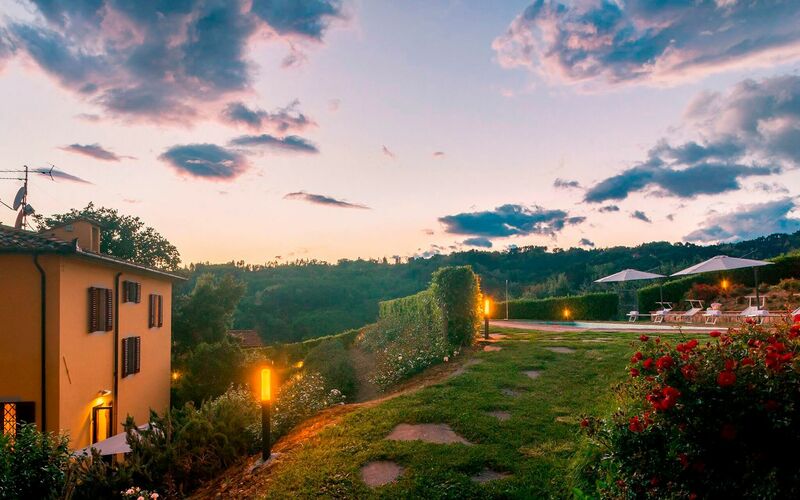 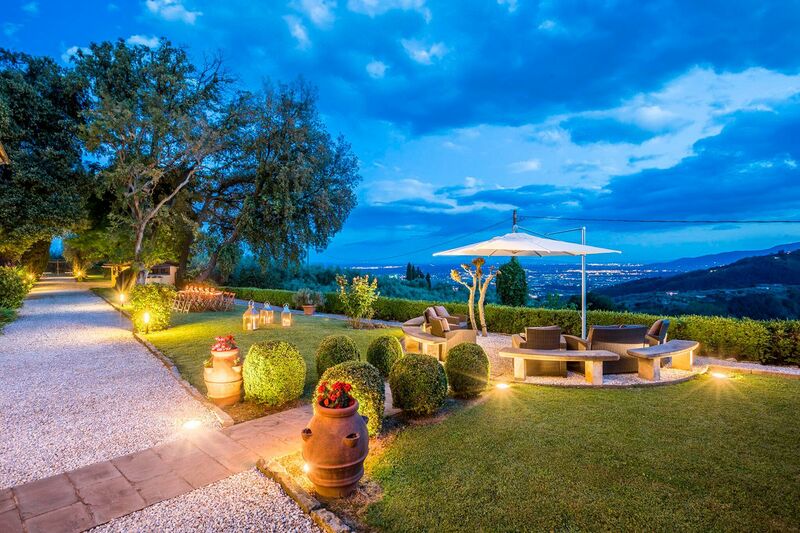 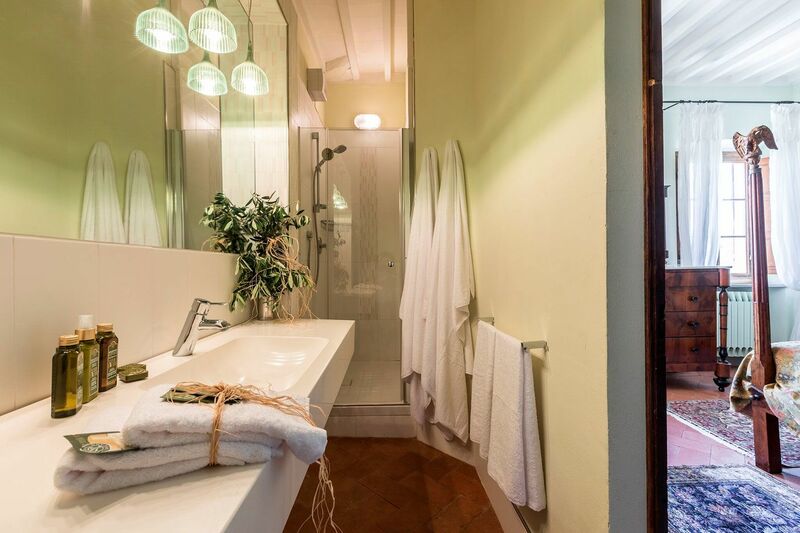 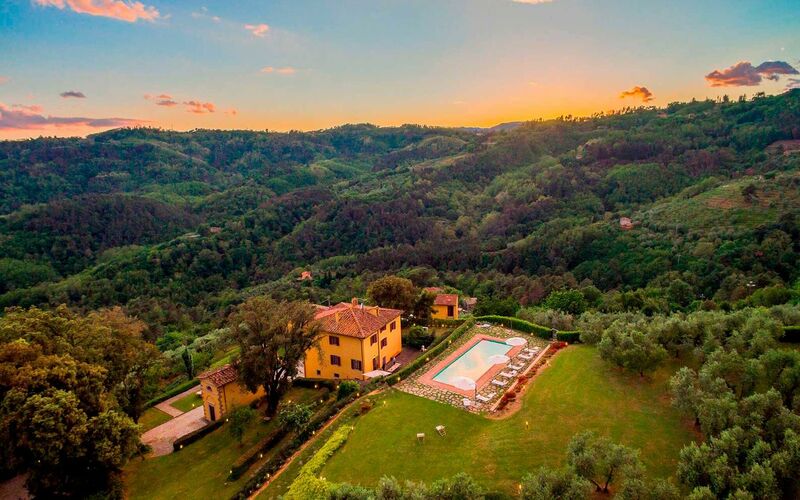 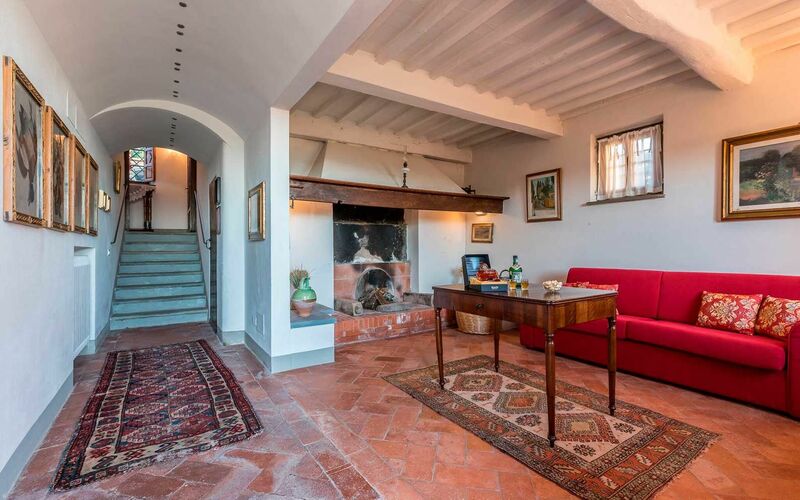 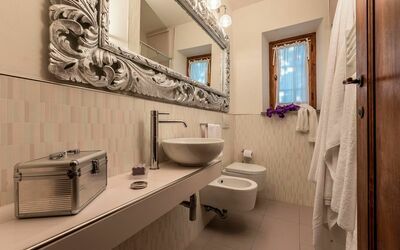 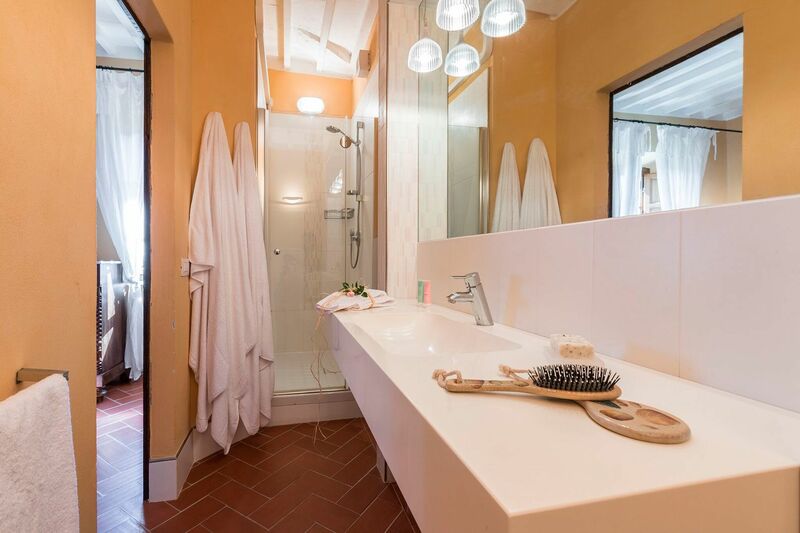 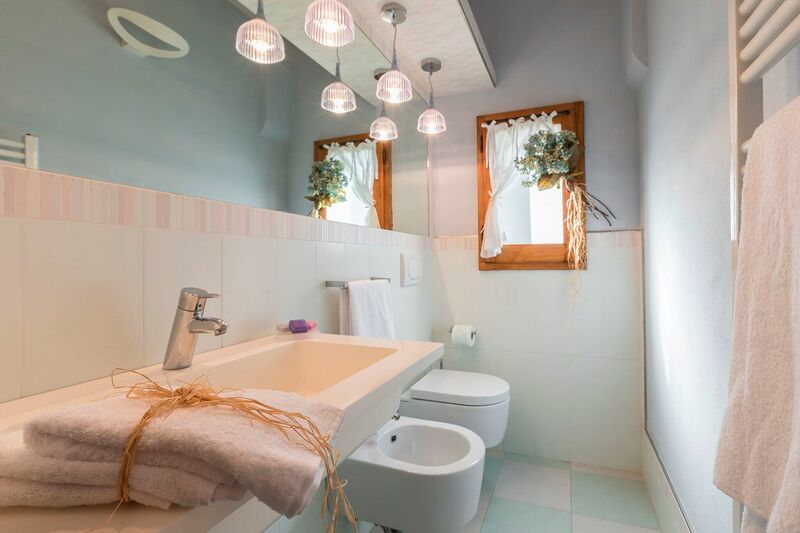 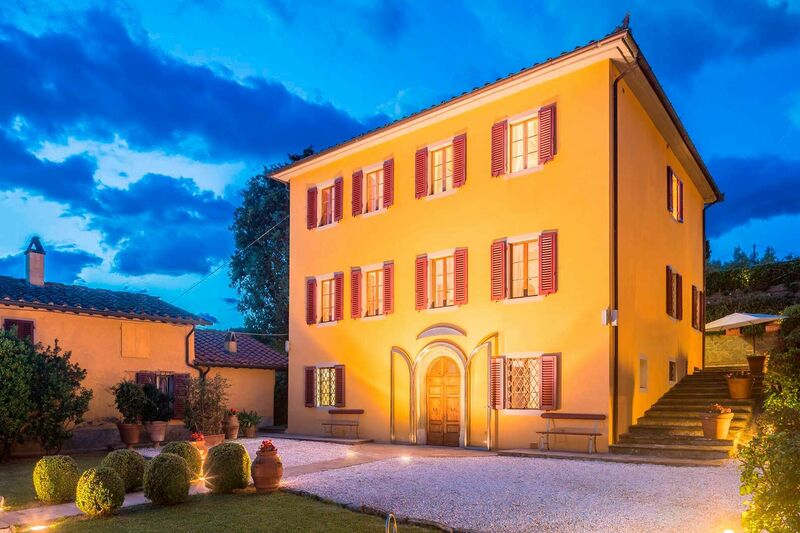 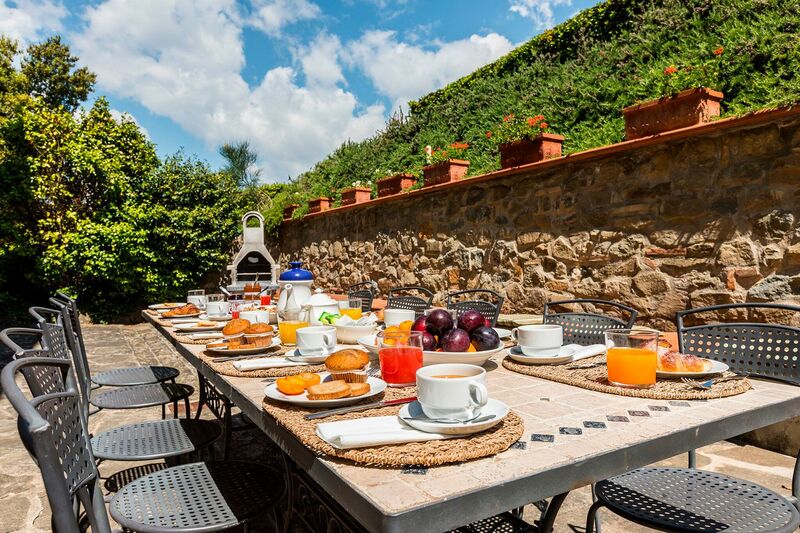 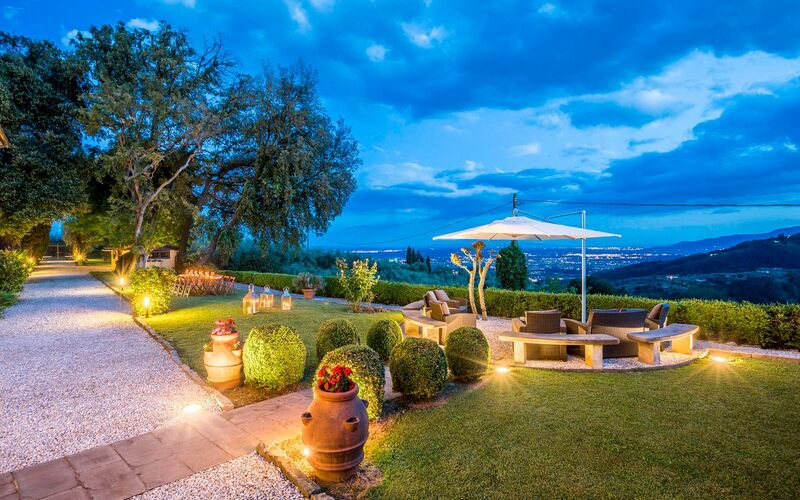 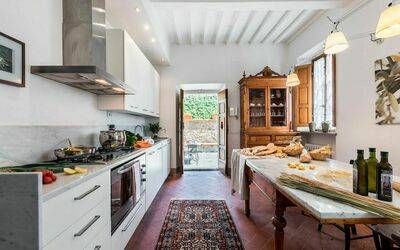 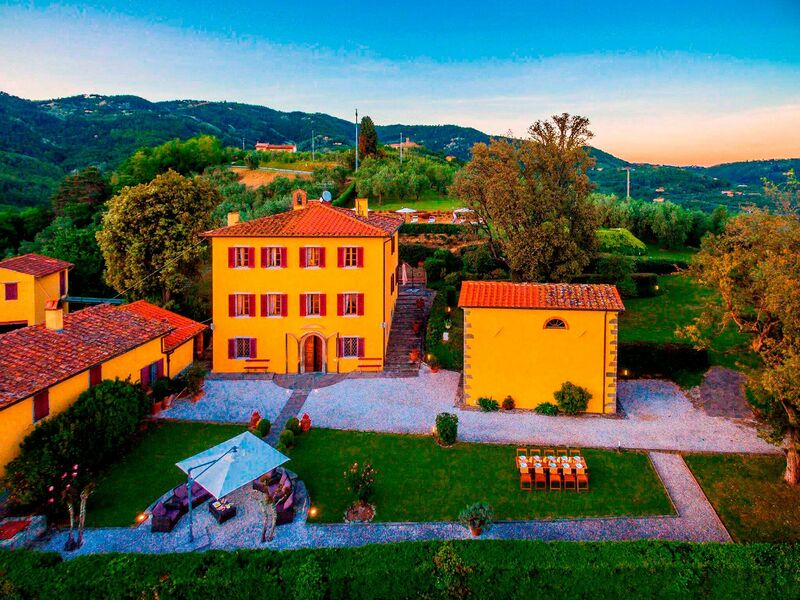 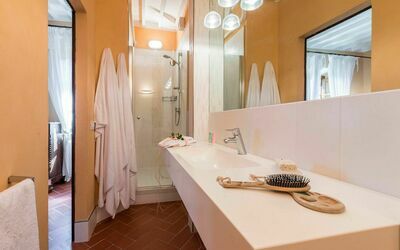 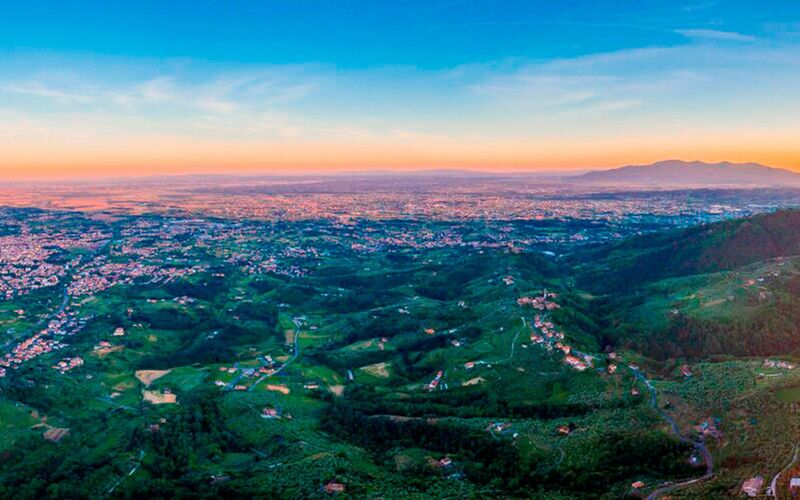 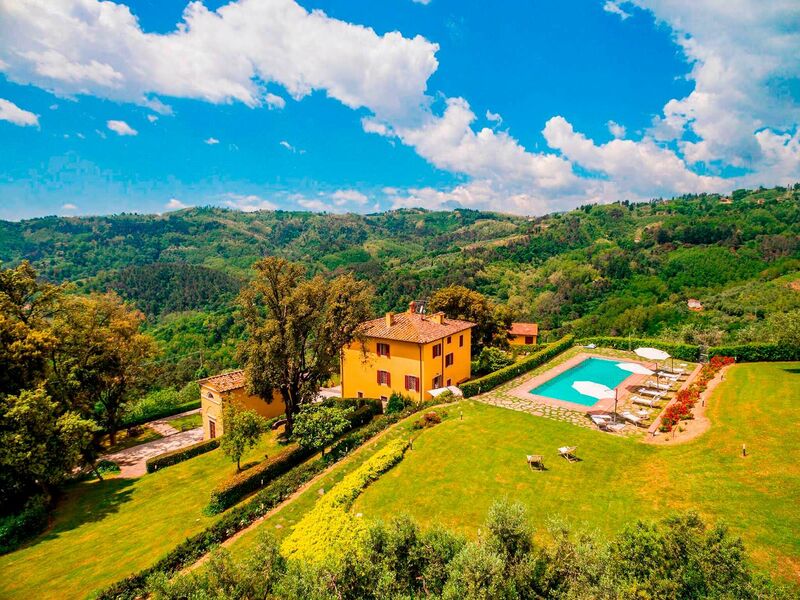 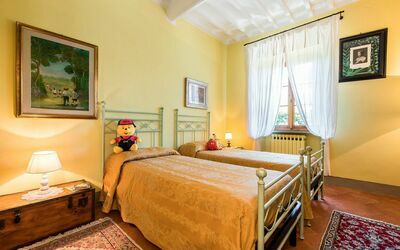 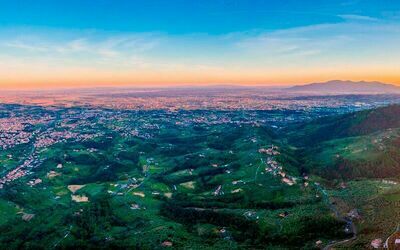 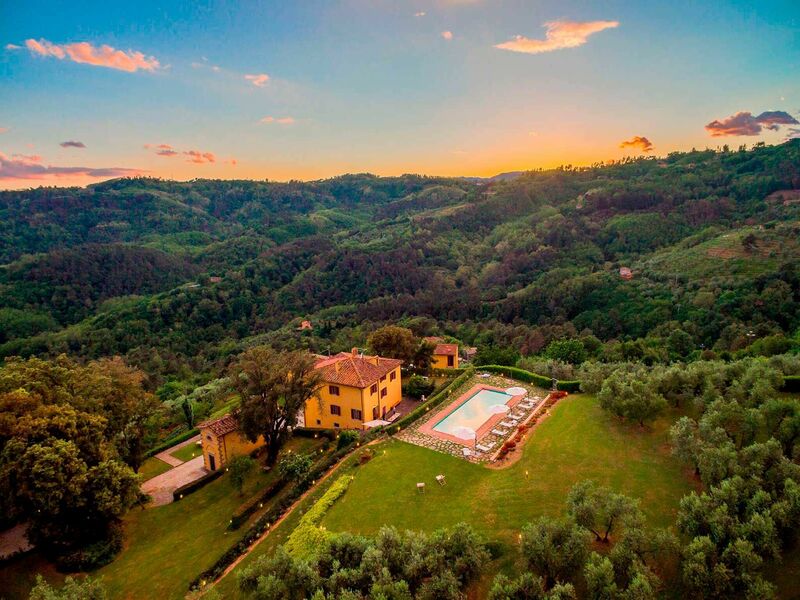 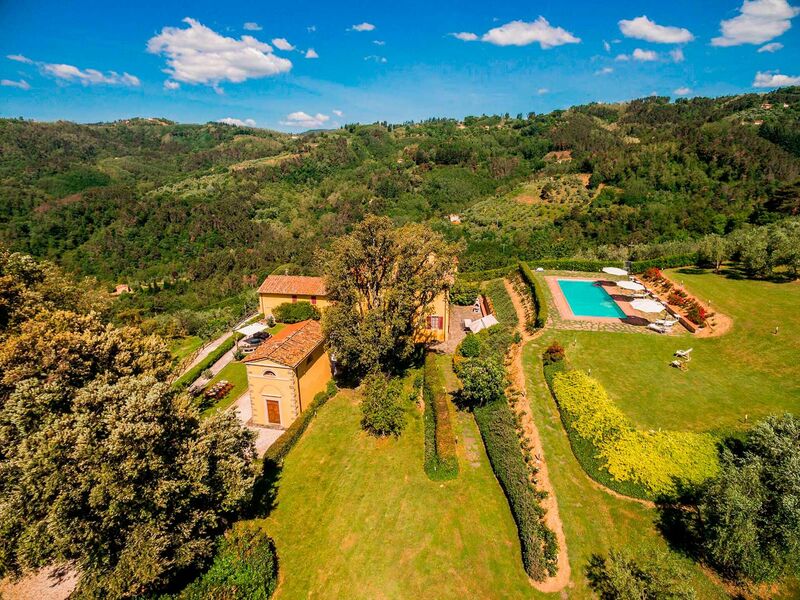 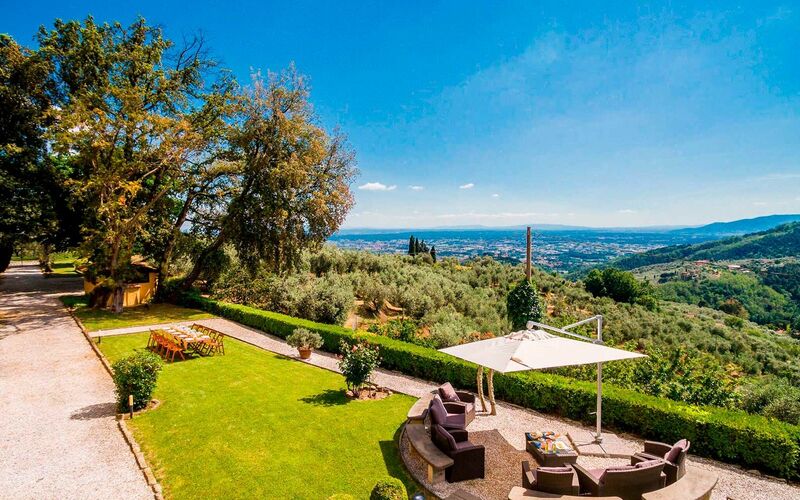 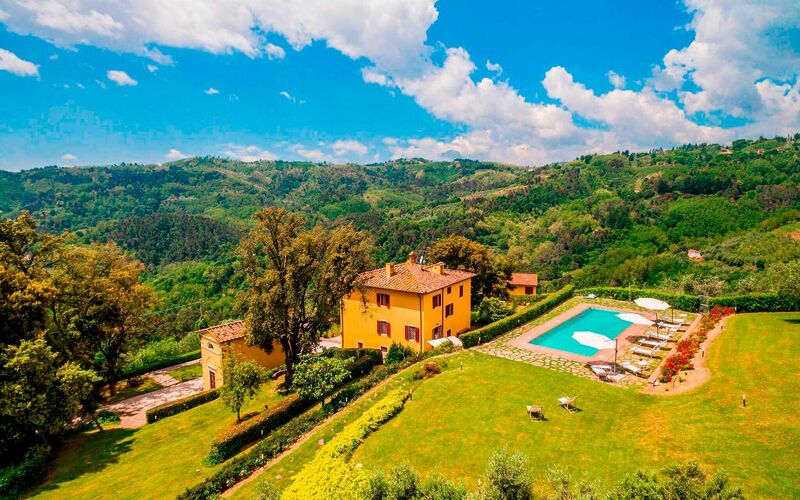 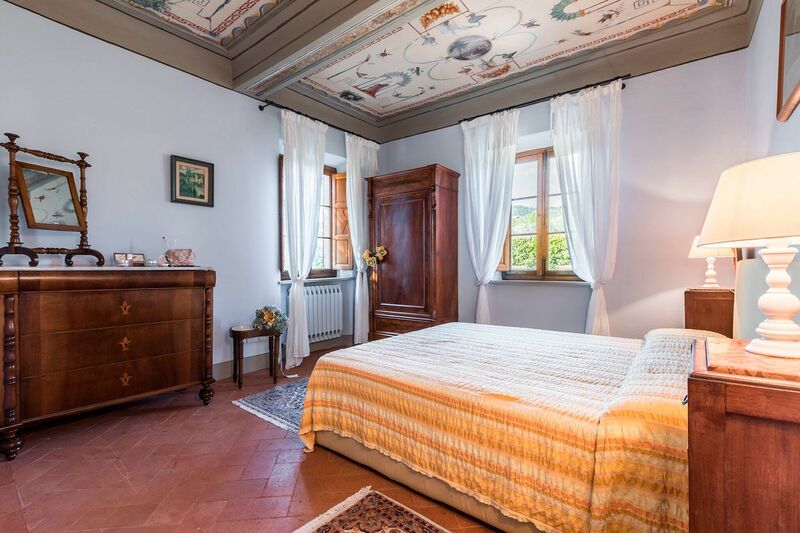 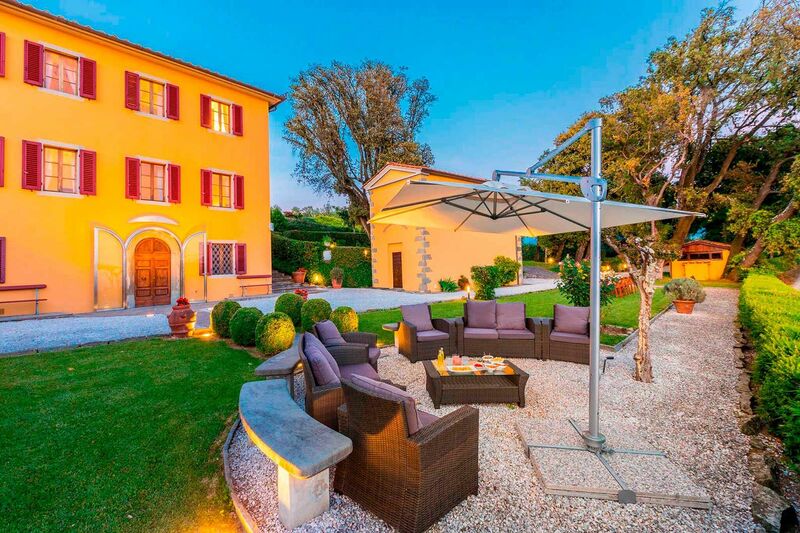 Villa Sopra is located in the heart of Tuscany, in the area between Montecatini and Pescia. 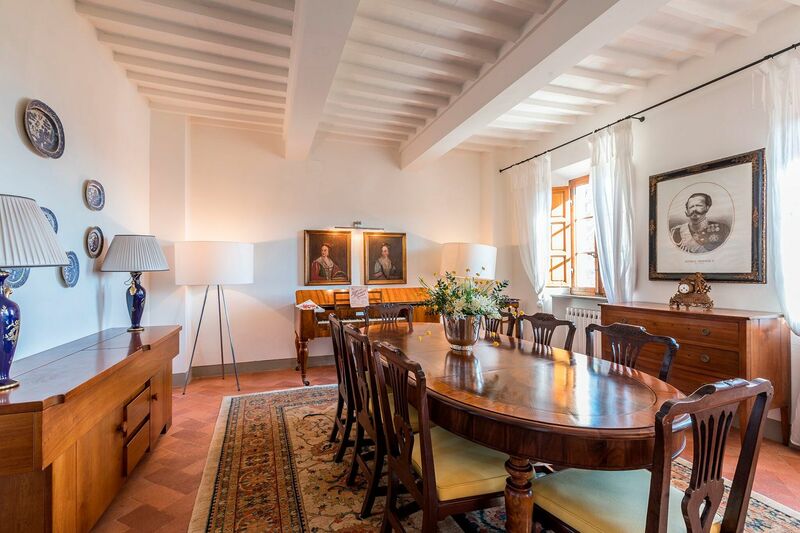 The villa was built in the 18th century as a summer residence of a noble family. From the time you can still see some pieces of furniture. On the plot of 10ha is also a small chapel, which you can visit, with separate entrance behind a neighboring house. Here you will be welcomed and get technical assistance, if needed in the house. 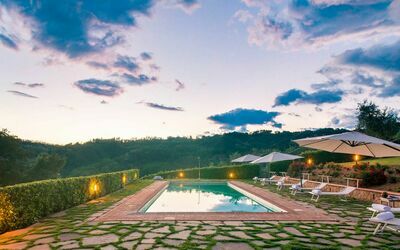 The pool (15 x 5m, 1.10 to 1.40m, open from the last Saturday in April to the last Saturday of October) it is high above a convenient stone stairway at the villa where there is a plateau - chairs and umbrellas summer. Many flowers in the summer, behind an olive grove. 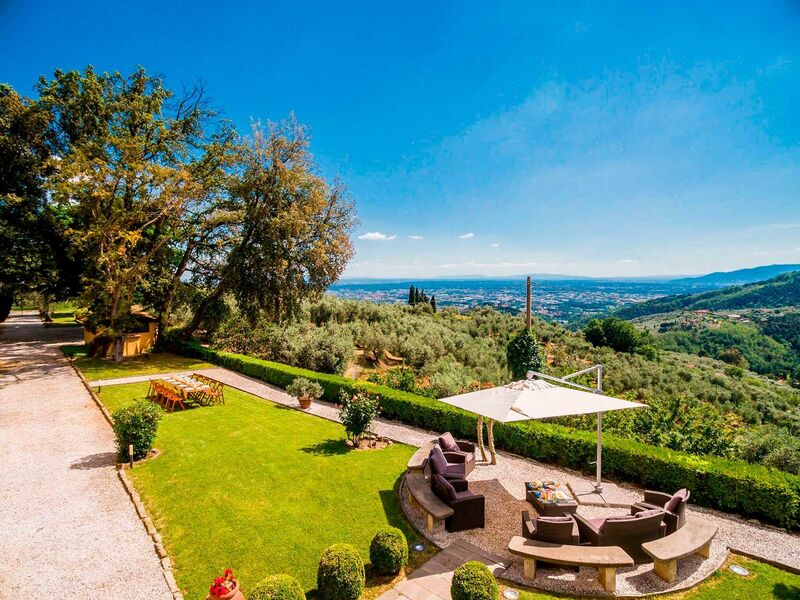 The Villa produces olive oil, it can also be purchased suburb. Below the pool is a protected seating area with dining table and barbecue.